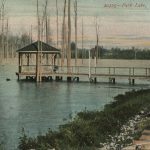 Most major lakes in Mississippi did not form naturally but have been constructed for particular purposes. Lakes fall into one of six classifications according to their origin or primary purpose: oxbow, flood control, water supply, recreation, navigation, and hydroelectric. The naturally occurring oxbow lake is created by changes in a river’s course. As rivers flow, particularly through flat areas, they take the path of least resistance. Such a path is typically not a straight line but a series of bends known as meanders. Over time or through channelization, the river erodes away part of its bank, and the meander shifts and/or expands. These shifts allow meanders farther upstream to connect to those downstream, bypassing the old channel and forming a new one. Sediment begins to build and eventually cuts off part or all of the old channel, which becomes isolated as an oxbow lake (named for the typical U shape). Oxbow lakes are usually found along larger rivers, and most of Mississippi’s oxbow lakes occur along the Mississippi River or on the southern reaches of the Pearl and Pascagoula. 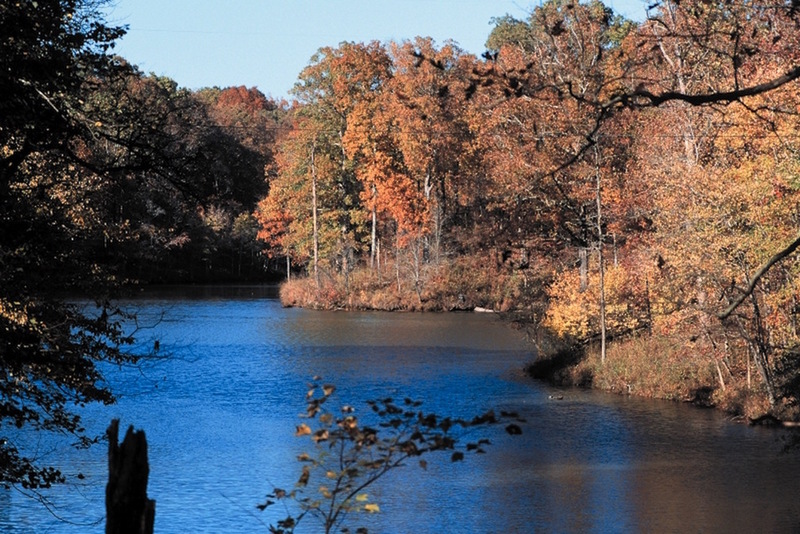 Examples of oxbow lakes in Mississippi include Eagle Lake in Warren County, Moon Lake in Coahoma County, and Old River Lake in Wilkinson County. Most of Mississippi’s large lakes, including Arkabutla, Sardis, Enid, and Grenada Lakes, are classified as flood control lakes. After the Great Flood of 1927 the US Army Corps of Engineers devised a plan to prevent the Yazoo Basin (also known as the Delta) from again being deluged by floodwaters. In the western part of the Delta, the levee system was modified and improved to hold back the Mississippi River. In addition, the Corps of Engineers constructed several lakes east of the Delta to prevent flooding from the hills. The corps dammed the Coldwater River (forming Arkabutla Lake), the Tallahatchie (Sardis Lake), the Yocona (Enid Lake), and the Yalobusha (Grenada Lake), building the dams in the loess and red clay hills because doing so was easier than damming the rivers in the Delta. While Arkabutla Lake was being constructed in 1942, the entire town of Coldwater moved 1.5 miles to the south to avoid encroaching waters. 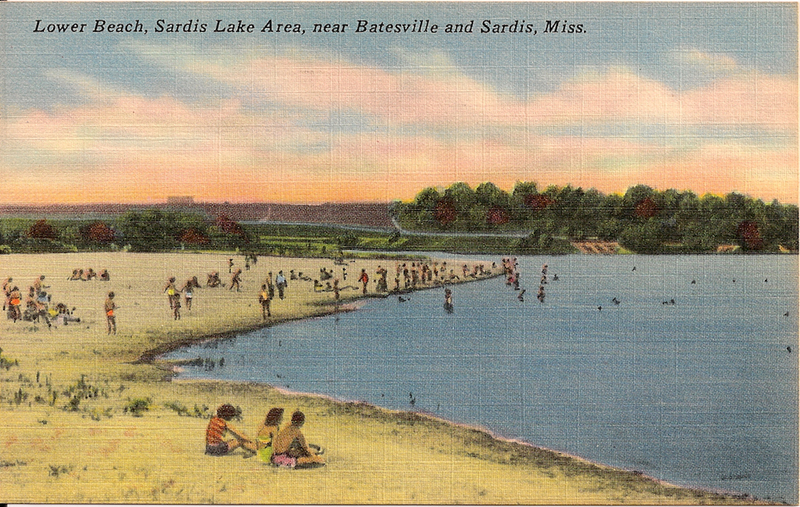 Sardis, the state’s third-largest lake, was the first completed. Enid is known for its world-record crappie and gar. 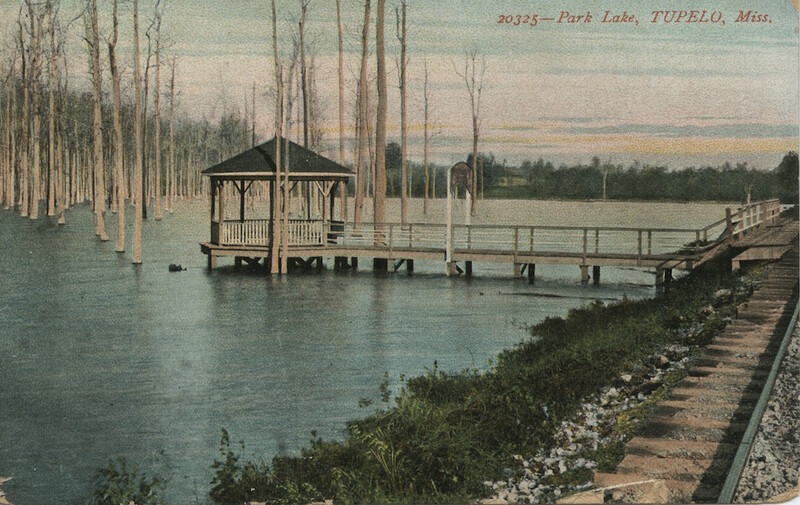 Grenada, the largest lake in the state at normal pool, was the last of the four to be built. A few smaller lakes also serve as flood control lakes, but the only other one maintained by the Army Corps of Engineers is Okatibbee Lake, near Collinsville, which prevents flooding on the tributaries of the Pascagoula. During dry seasons Okatibbee also serves as a source of water for the delicate ecosystem further south, near the mouth of the Pascagoula. Mississippi’s water supply lakes are typically smaller in number and scale with the exception of Ross Barnett Reservoir, the state’s second-largest lake. It was built in the 1960s primarily to serve as a source of drinking water for the Jackson area. 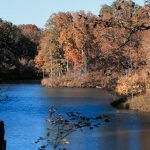 Although many Mississippi lakes provide forms of recreation, certain lakes have been created primarily to serve that purpose, and many are maintained by the Mississippi Department of Wildlife, Fisheries, and Parks. Some provide only fishing, while others also offer swimming, skiing, and boating. 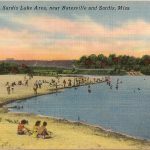 The twenty-two state-maintained lakes include Oktibbeha County Lake near Starkville, Kemper County Lake near De Kalb, Lee Lake near Tupelo, and Lake Lincoln near Wesson. Many private lakes provide similar conveniences. Lakes for navigation provide water along waterways that use a lock-and-dam system for boats traveling to port. These lakes also render wider and deeper channels through which boats can travel. Navigation lakes in Mississippi are located along the Tennessee-Tombigbee Waterway and include Columbus Lake, Aberdeen Lake, and Lake Bay Springs. Finally, Mississippi has one hydroelectric lake, built to provide cheap electricity through hydroelectric power. Pickwick Lake, in the far northeastern corner of the state and stretching into parts of Tennessee and Alabama, is part of the Tennessee Valley Authority. History of the Town of Coldwater, Jessie J. Edwards Public Library, Coldwater, Miss.